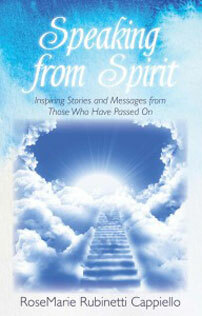 “your book is wonderful – every story is my favorite until I read the next !” ~ Lois Kramer-Perez, C.Ht. I am so excited for you to read what these lovely spirits have shared with me. Tell all your friends and family, your doctor, chiropractor, hairdresser and mailman about it. Facebook and tweet it! Blog it if you blog. Post a link to your website. Visit my facebook page speakingfromspirit and please write a comment. And…. more importantly, write a review on Amazon.com and BarnesandNoble.com. I would greatly appreciate the support.